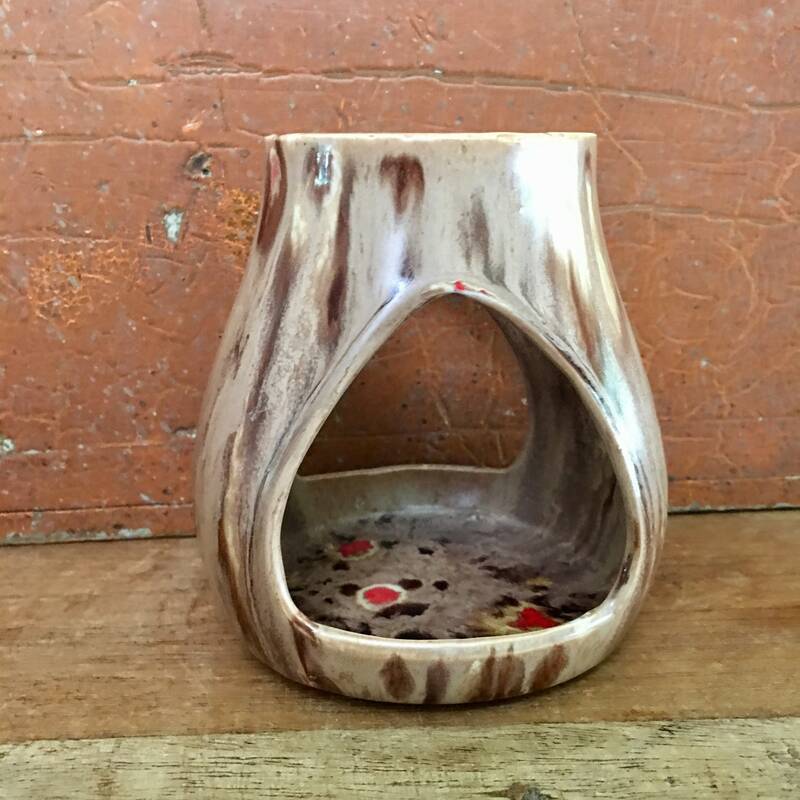 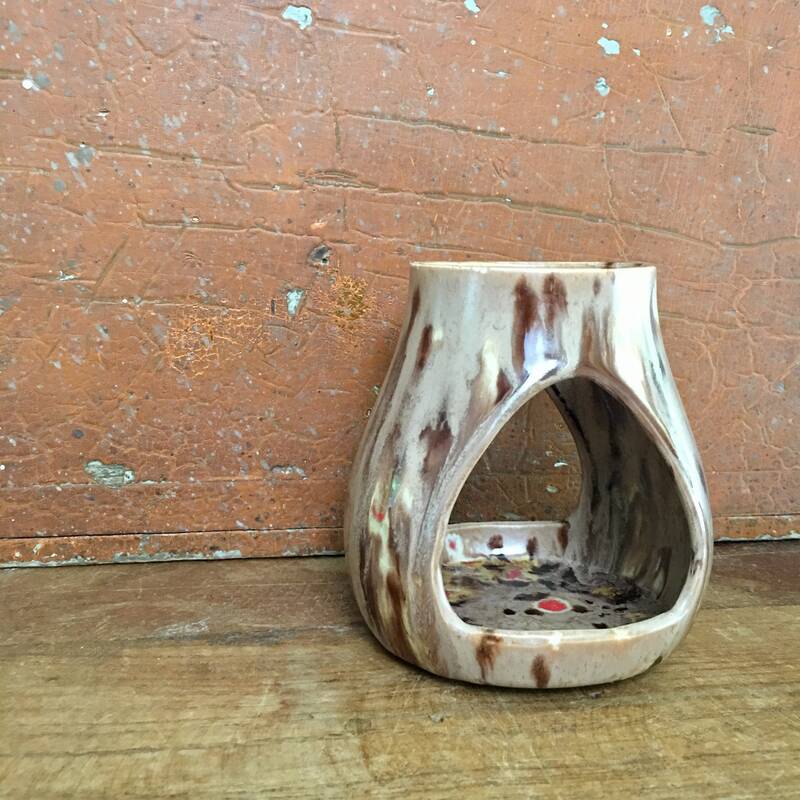 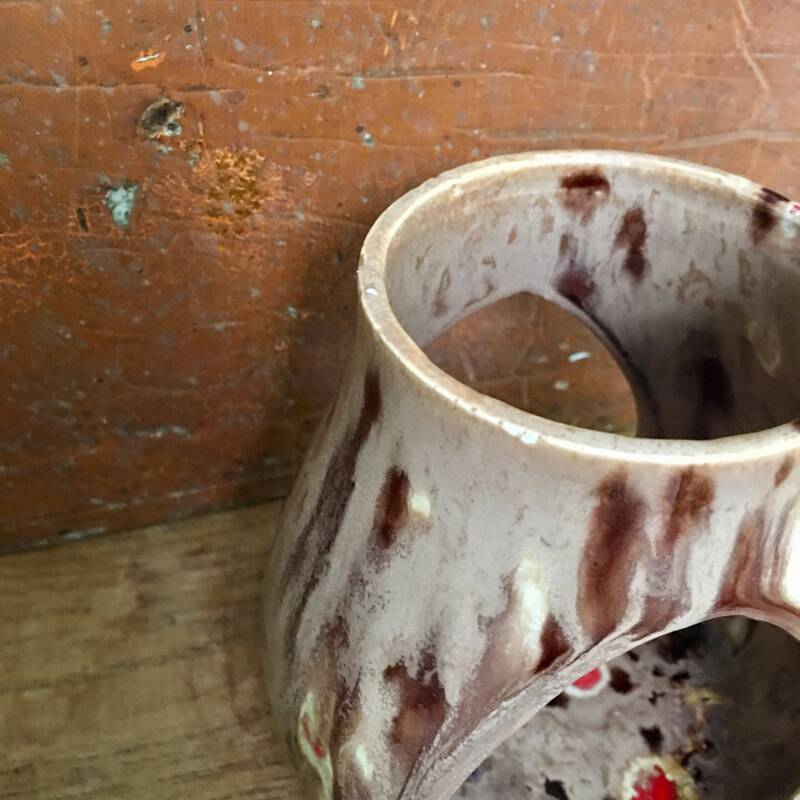 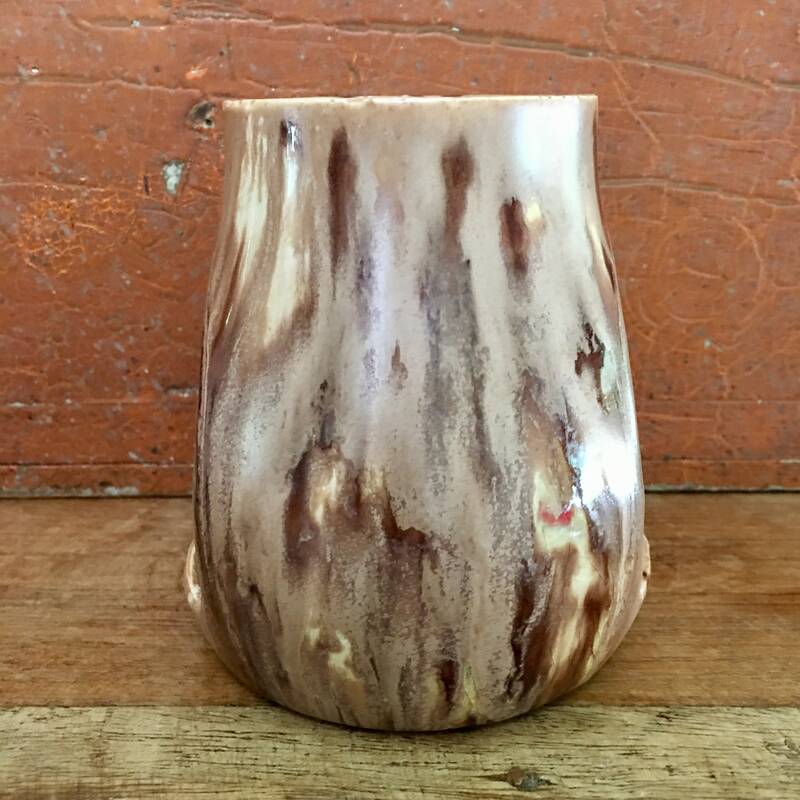 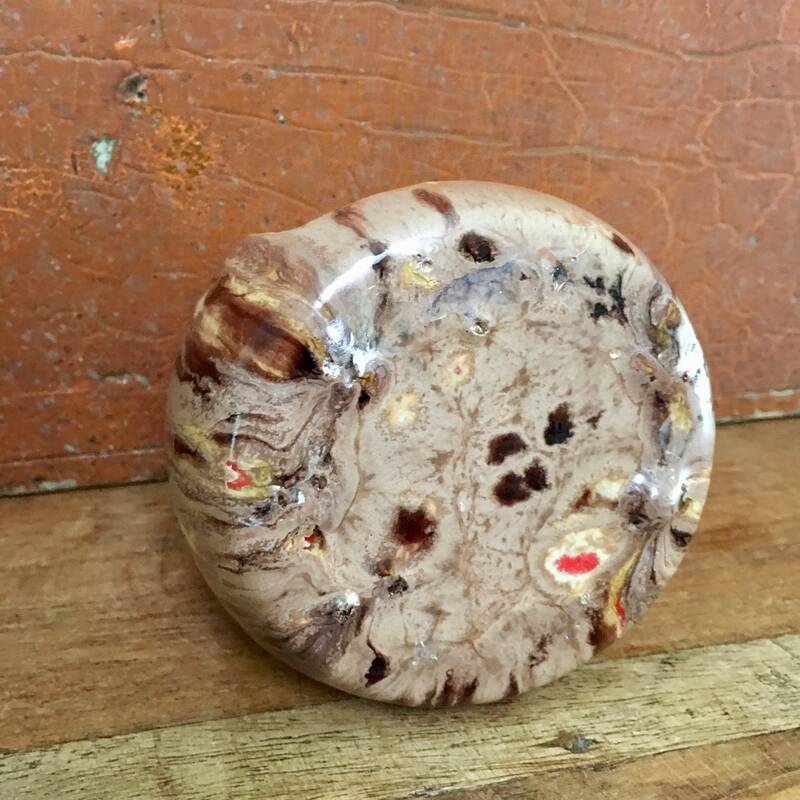 Vintage drip glaze ceramic votive candle holder - glazed in shades of brown and bright orange. 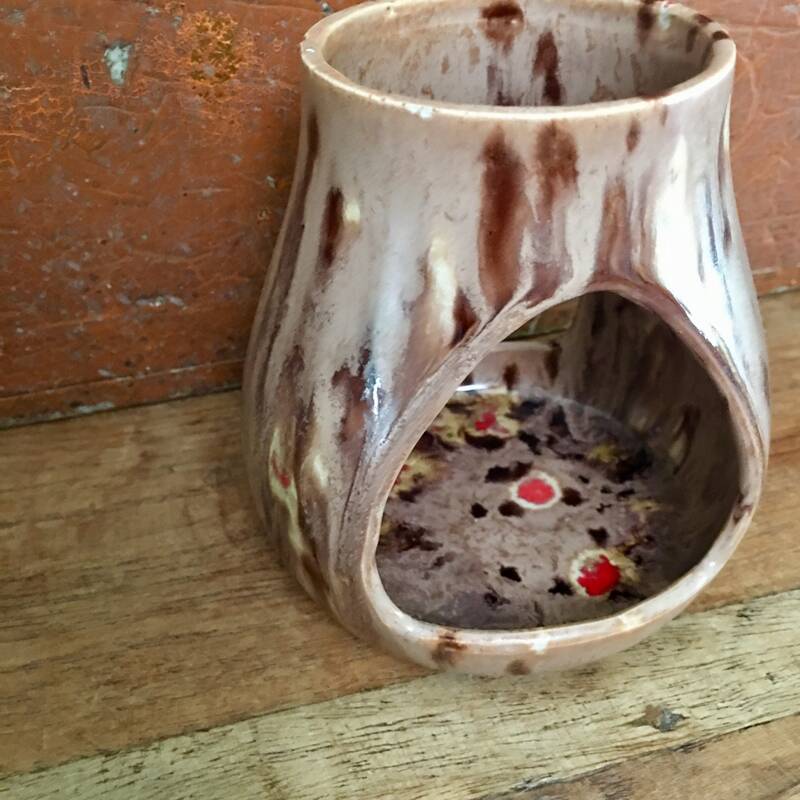 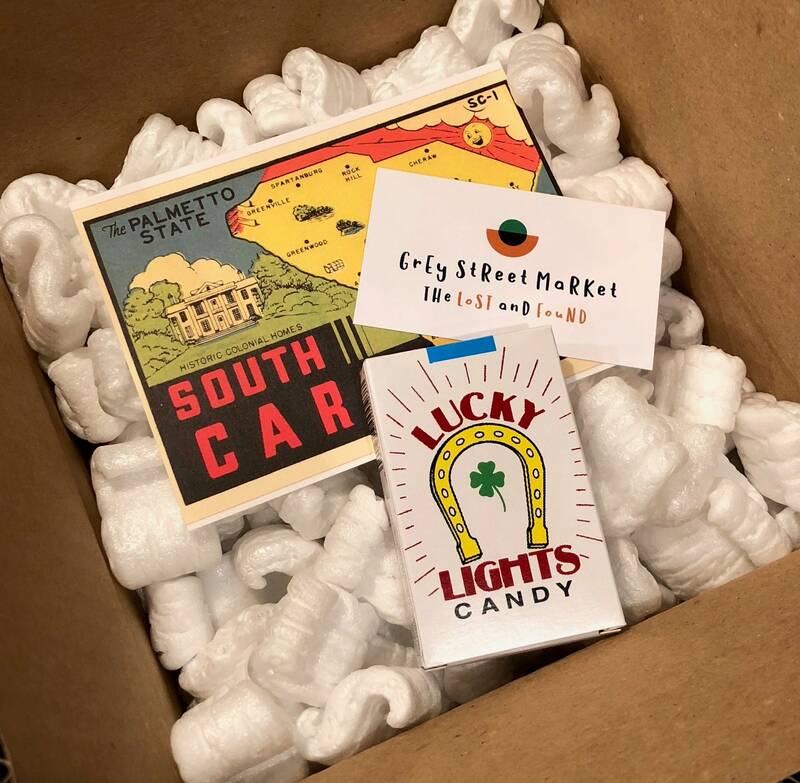 A great addition to your fall decor or filled with a candle and shared with a friend. 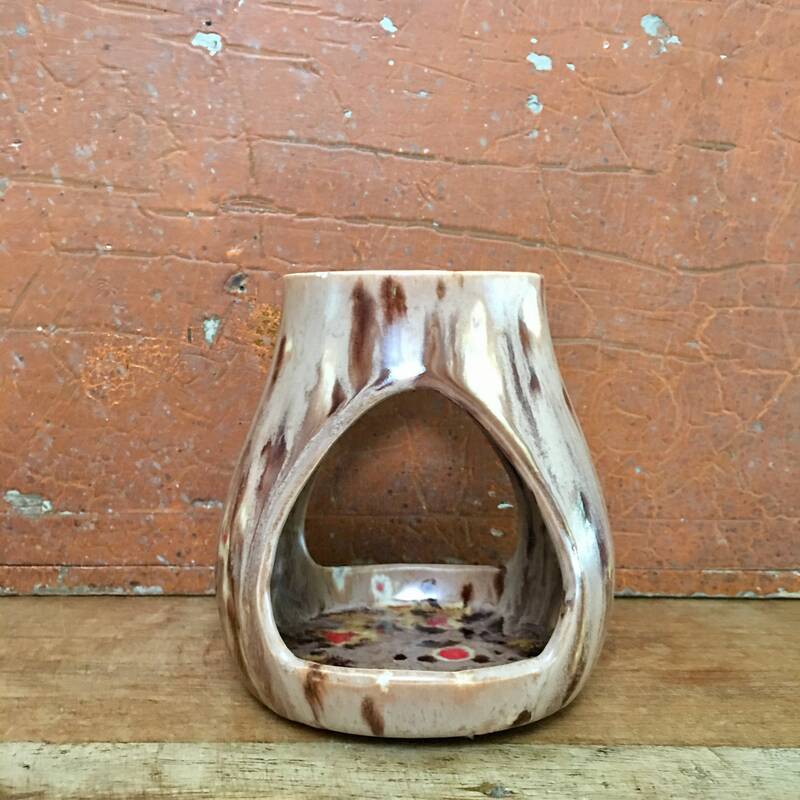 Kiln stand marks on the bottom but no makers marks. 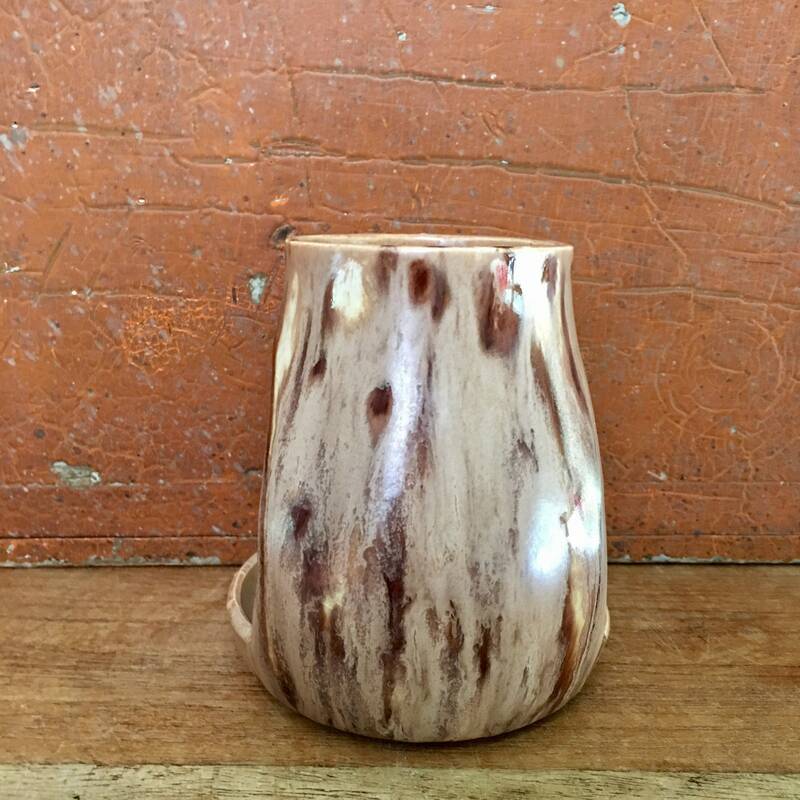 Imperfections from firing process but no chips or cracks.